One area that I have a problem with is the dark areas under my eyes. I know these are not related to a lack of sleep because apart from when I’m going through a bit of an insomnia stage, I get plenty of sleep. So my guess is that this must be related to something like my diet or that I don’t drink enough water (you may find this strange but I don’t like the taste of water). At some point in the future I may try and address this by forcing myself to drink nothing but water and eating only good healthy stuff but in the mean time I have turned to eye products. 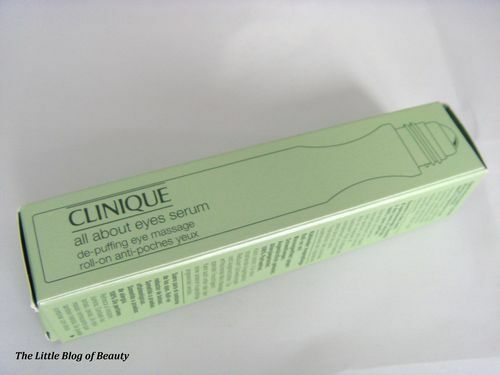 I was aware that Clinique did an All About Eyes cream and an Even Better Eyes Dark Circle Corrector (which comes in a tube with a metal looking tip) but I didn’t know that they did an All About Eyes Serum, until I received this for Christmas. 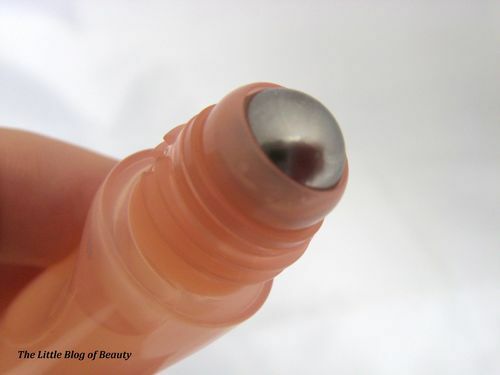 This comes in a tube with a rollerball applicator which should be rolled twice under each eye from inner corner to outer corner using gentle pressure. The website advises that this should be used morning and night and as needed throughout the day. However I only tend to use these products at night as I personally find that they leave a slight stickiness on the skin that I’m not sure about trying to apply makeup over. The serum itself is reasonably thick with a shimmery appearance and contains caffine, antioxidants and soothing botanicals (all good stuff for trying to combat those pesky under eye problems). This is also oil free. This hasn’t been a miracle product which has magically made the darkness under my eyes disappear overnight (I would be very surprised if any product could do this though) but I have been quite pleased to see an improvement. My dark areas have become smaller and are possibly not quite as dark as they were before. I have only been using this continuously for a week or two so I will keep up with this and hopefully will see even more of an improvement over time. If this can make any kind of difference to the dark areas under my eyes then I believe this may work well for people who don’t suffer as badly with those under eye baddies. 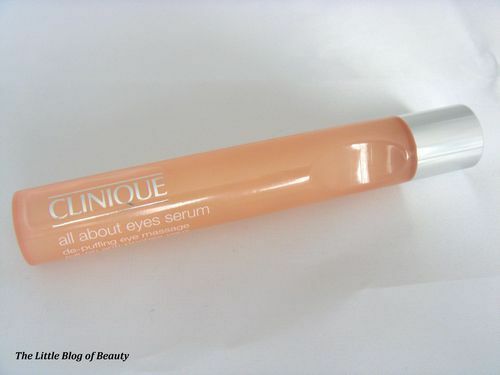 As with all of Clinique’s products this is allergy tested and 100% fragrance free and is also ophthalmologist tested (which is pretty good as it’s a product you’re using so close to your eyes). 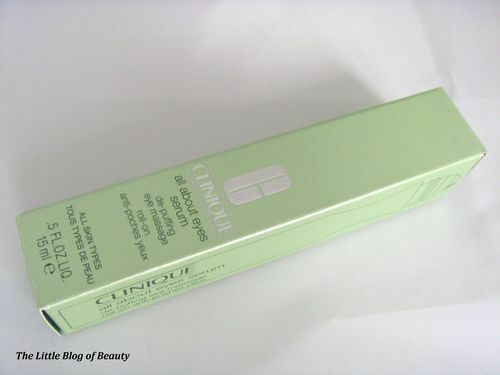 At £21 this is one of the cheapest of Clinique’s under eye products and being an eye product this will last for ages so I think this is quite good value. 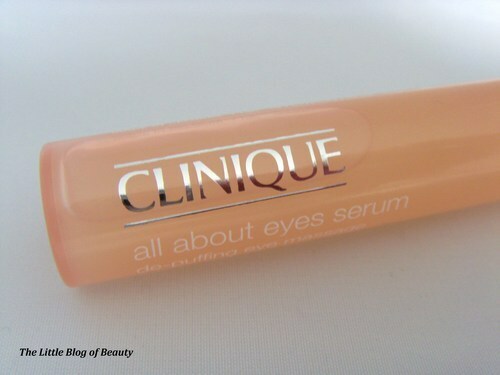 You can buy All About Eyes Serum from the Clinique website, Boots and department stores.